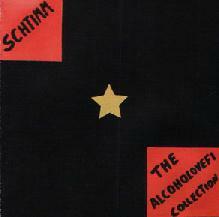 Schtimm - "The Alcoholovefi Collection" / "plays Mrakslov Vragosh" / "Sun/Sun"
Schtimm are a interesting band from Trondheim, Norway. I had never heard them before we met up when the band opened for Gas Giant in Denmark. The band has released 3 CDs since the year 2000. The band have been involved in some very interesting musical projects as well, one in which Sony Norway put up the money so that everyone at a concert could listen to the band perform while listening to headphones. The band was set up and they had a huge mixing station and everyone listened to the band in stereo perform live. They said it was a great success. The first CD, The Alcoholovefi Collection, was released in 2000 and is an interesting mixture of mood music with some avant-garde tendencies. The have both male and female lead vocals. The female voice is very dreamy while this is contrasted by the deep male voice. This CD was highly successful in Norway and received great reviews. Schitimm plays Mrakslov Vragosh was recorded in the summer of 2001 with a new drummer entering into the band. The media really thought that the band was playing the music of this make believe Russian artist. The band got quite a kick out this joke. The CD is packaged in a fantastic gatefold digipack and features 11 tracks. The band has a few guests who add cello and violin to the low fi music. While some of the music is like dreamy pop music it is not really ordinary enough to get widespread MTV appeal or anything like that. This release did lead to bigger things though and the band appeared on Norwegian national TV and began to get some radio play in Norway. 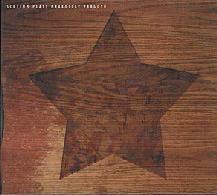 The Sun/Sun EP was released in 2002 and features 6 songs. 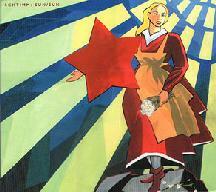 The opening track was also featured on the plays Mrakslov Vragosh CD. These songs were all recorded during the same sessions as the previous CD. The bands European label, Make my Day Records (www.makemydayrecords.de), are releasing the "plays Mrakoslav Vragosh" + bonus tracks (the songs from "Sun/Sun", which are not on the Norwegian version of the album) on July 18th. I think if you like dreamy, not very ordinary low fi popish music, then you should give these guys and gal a listen! For more information you can visit the Schtimm web site at: http://www.schtimm.com.